A new hardware project: Crazy Volts. 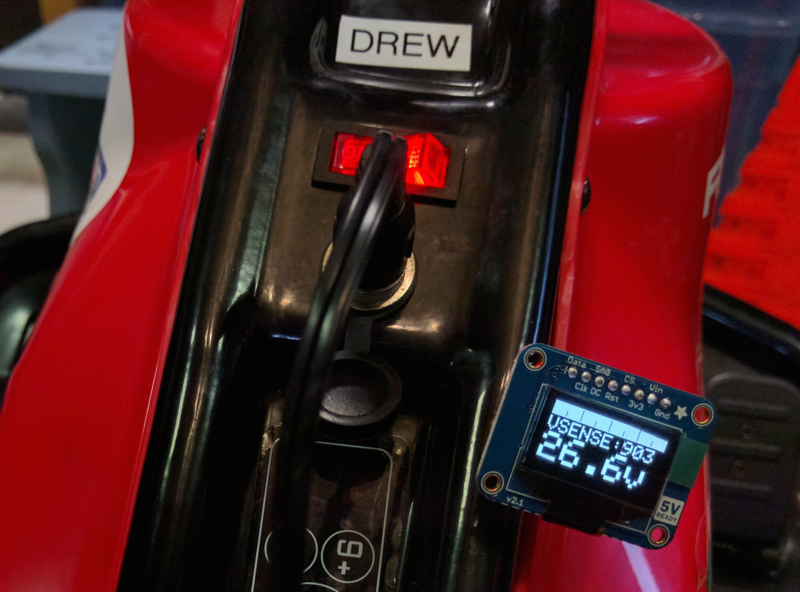 Drew and I are working on a fuel gauge for his Crazy Cart. It's based on the ATmega328P + Adafruit's OLED display, and a custom PCB to hold it all together. The power switch for the cart has 3 leads: ground, battery, and switched to controller. The controller lead is switched and provides the voltage sense, so we just wired the input + power leads together. The display running in the pic above shows our calibration test, and the display itself hasn't been permanently mounted yet. 2 layer board of 1.55x2.05 inches (39.47x52.15 mm). 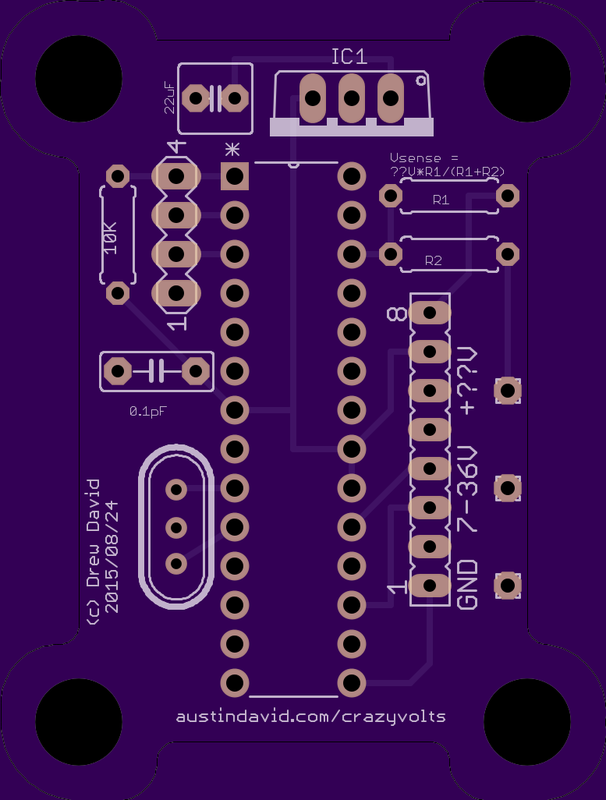 We also considered using a general-purpose ATmega328 breakout (the bduino), or a teensy 3.1 + adapter board to wire up a regulator + OLED display.